GE 420 - Double the shredding power: The electric shredder with a twin chamber system. Double the shredding power: The electric shredder with a twin chamber system. One machine, two tasks: The GE 420 electric multi-shredder features separate feed openings for soft and hard materials. With a power of 3,000 watts, even branches 50 mm in diameter are reduced to small wood chippings in no time. 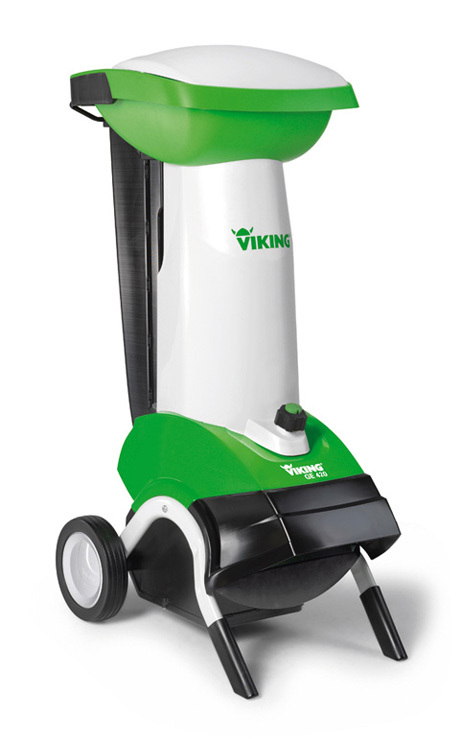 The integrated tool at VIKING garden shredders enables fast and professional service the shredder such as a blade change.